Are you at one of those crossroads? Do you want to improve some part of your life? Clueless as to what you want to be when you "grow up", creating the second half of your life, or know where you want to be and searching for the next step? How do you assume the reins, enabling yourself to fulfill your highest potential? Each day you deal with a myriad of choices which create your life. Many times you are unaware you have choices, or choose while on "automatic pilot". Essential Connections is dedicated to helping you achieve your goals. Your customized self-development program draws on many techniques. The power of the spoken word, meditation, self-hypnosis, and other tools are a few simple - but extremely powerful - methods anyone can use. Personal empowerment is attained through changing your perspective, realizing you always have choices, and in living with self-respondability. With the power of your mind, you can effect change in your life. Just like an architect designs a plan for a bridge, we work closely with you to develop a strategy for success. Working with a trained, caring, and certified hypnotist, you will explore and determine your goals as well as identify and eliminate roadblocks to success. Your sessions will provide you the tools to take control of your life and to move forward, so you can make your dreams reality. You'll emerge stronger, more confident and self-reliant, and most importantly, empowered. The hypnotic state is a natural experience that occurs every day like daydreaming or "tuningout" others while watching TV. You maintain complete control of yourself throughout the process and are fully able to reject suggestions at any time. You can choose to follow your bliss. Abundance and joy is your birthright. Success is not only about money, but about having prosperity in all areas of your life and living in love, joy, ease and grace. Andrew Carnegie and Henry Ford used group energy to succeed and thousands of people have demonstrated dramatic, positive changes in their lives. The group uses the scientific method of combining your own focused thought, with others, for the specific purpose of consciously creating the life you want. Our thoughts and words are the vibrations which form the world around us. Why live unconsiously and learn through struggle? Combine your own strength with that of other persons, as well as that of Infinite Intelligence/God/Universal Source to co-create the life of your "dreams". Each week we�ll discuss tools to help you attain your goals, which can include needs for healing, guidance, prosperity, and areas of challenge. A wonderful experience for any group wanting to achieve a goal: in the workplace, spiritual communities, associations, family units. Sub-atomic research has shown that everything in our universe vibrates at differing speeds. The human body at optimal health has an electrical frequency of between 62-72 MHz. When the frequency drops, the immune system is compromised. At 58 MHz, diseases like Candida take hold; at 52 MHz, Epstein Barr; and at 42 MHz, Cancer. The frequency of the body can be raised with vibrational therapies and products, facilitating spontaneous healing and realignment. This can include music, sound, color, essential oils, and other tools.
" The life blood of plants" have been used for thousands of years to attune body, mind and spirit. The pure intelligence of essential oils may be the only tool that can reach into the deep recesses of our brain, cross over the chemical barriers and open the hidden channels of our minds. Each oil has a frequency as do each of our organs and body parts. Lower frequencies become a sponge for negative energy, allowing dis-ease. Our goal is to raise our frequency so we can heal ourselves. Clinical research shows that essential oils have the highest frequency of any natural substance known to man, creating an environment in which disease, bacteria, virus, fungus, etc. cannot live. They are able to carry oxygen and nutrients right through the cell walls, even if they have thickened to defend against toxins. The penetrating characteristic of essential oils greatly enhances their ability to be effective. Essential oils will penetrate into the body when applied to the skin; when placed on the sole of the foot they will be distributed to every cell in the body within 21 minutes. Oils can be used in the corporate arena, as well as the home, by diffusing into the air. Because of their therapeutic frequencies, we have chosen to use Young Living Essential Oils. Available as single and blended oils for use topically and in aromatherapy, plus tinctures and teas, food supplements, as well as skin and hair products without sodiun lauryl sulphate. Retail and wholesale pricing, workshops and private consultations are available. Sessions available in Tampa/St. Petersburg FL, Phoenix/Sedona AZ, and Denver/Crestone CO areas. Email or call to make appointment. Now is a great time to make those changes! Personal development sessions can be in-person, or via telephone. Personalized educational programs and workshops designed for corporations or groups! Gift Certificates are available. Leslie S. Mason, C.H., uses a variety of disciplines as a Life Coach. She is a Reiki Master/teacher and certified hands-on healer who received hypnosis certification in 2000, becoming nationally certified in 2004 and a member of the National Guild of Hypnotists. Ms. Mason�s studies began during her seven years in Sedona, Arizona. 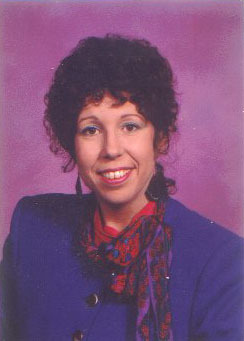 She began her practice in 1995 and incorporates 40 years of sales, training, networking and organization business skills in corporate and community service with spiritual and hands-on healing techniques from around the globe. Her passions are travel and showing others how to create the life of their dreams.